Whether you’re a local, a returning visitor, or a first time tourist Charleston has an overwhelming number of things to see and do. Of course the carriage rides, walking tours and harbor cruises are wonderful ways to learn about Charleston’s rich culture and historic moments, but seeing the city as a true local is the best way to get the down-home feel of what the Lowcountry is all about. We love the eclectic feel of our city and want to share a little of our favorites with you. Of course there is the food. 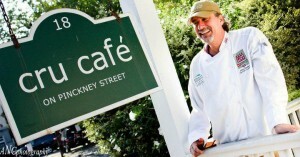 Charleston cuisine is among some of the best in the south. 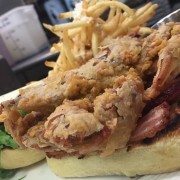 Known for its southern style, Lowcountry cuisine Charleston has become a forefront for a city with a respectable restaurant scene recreating the historic menus of its past with a new fresh, local and energetic twist. While there are MANY amazing places to test your tasting skills we suggest hitting some of the hidden treasures on your next visit. 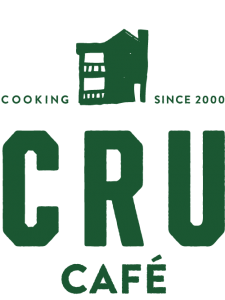 Of course we are a little biased, but we definitely recommend coming in to Cru Café for lunch or dinner. 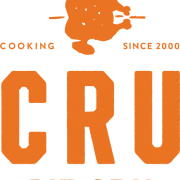 Cru Café is a culinary destination off the beaten path in a classic 18th century Charleston single-style home. 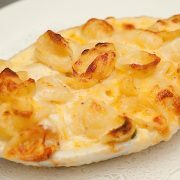 From our famous Four Cheese Macaroni to our tasty Thai Seafood Risotto, we feature something for everyone. Guests of the restaurant can enjoy daily specials, indoor and outdoor porch seating, a wine list tailored to the varied menu and rich, mouthwatering desserts. 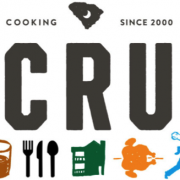 Cru Café is Charleston’s home to some of the best gourmet comfort food in the Lowcountry. Want to check out some of the Deep South History? The plantations are amazing and can make for some great photo opps- Middleton Plantation and Boone Hall are known favorites. But if you want to veer off the beaten path head towards Wadamalaw Island and visit the Charleston Tea Plantation or the Irvin House Vineyards. 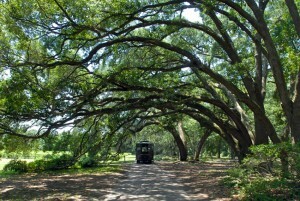 Nothing says Charleston like the old Oaks shadowing the back roads of the Lowcountry, not to mention what are better souvenirs than some homegrown tea and Carolina Wine? 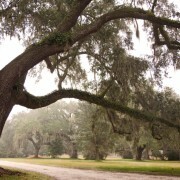 And don’t forget to visit the historic Angel Oak while you’re out there. It’s said to be one of the oldest living things in the country pushing over 1500 years in age. In addition to the major historic sites like Fort Sumter, Patriots Point and all the Cathedrals you can visit the original Charles Towne Landing in West Ashley and see the actual remains of the H.L. Hunley (submarine of the Confederate States of America) in North Charleston’s Park Circle area. Charleston is filled with family fun including the Charleston Museum, Charleston Children’s Museum, and the Aquarium- looking for some new fun with the kids? 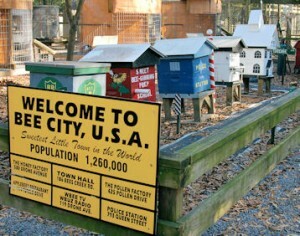 Take a day trip to Cottageville, outside of Charleston, and visit Bee City Honeybee Farm and Petting Zoo. Fun for all ages and the gift shop sells amazing assortments of farm grown honey, including honey mustard which is among the favorites. Or you can take a day trip to Edisto Island and visit The Edisto Island Serpentarium for a day of creepy crawly fun. Giving the time of year you can also spend the day at the beach or out on the water. Whether you’re jetskiing, parasailing, sailing, fishing or wakeboarding there are many great charter companies for all your water needs. Not a fan of deep sea fishing? Try your hand at some local inshore fishing. Season goes all year long and you can keep your fish for eating or catch and release! Fish include Red Drum, Trout, Flounder, Sheepshead, Shark, Blue Fish and more. Charleston night life is always a great scene whether you’re downtown on Market Street or watching a concert at the Windjammer. There is a multitude of theatres (Dock Street, Footlight, Playhouse) that always has great shows, not to mention the North Charleston Coliseum and Performing Arts Center is continually booked with great acts. If you’re looking for a more intimate show check out the Music Farm or visit Theatre 99 for their live comedy performances. Whenever you are visiting or looking for new things to do always check the local event calendars there is always something going on in this city! The City Paper is always a great place to look. 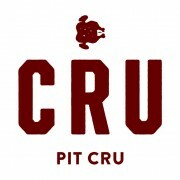 Come and Check Out the New Cru! Welcome to the Family!